Applications must be received by February 15, 2019. 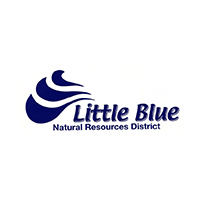 The Little Blue Natural Resources District is accepting resumes for a General Manager. This full-time position is the chief executive and supervising officer for the NRD. The General Manager reports to a 17-member elected Board of Directors and is responsible for managing the professional and technical staff in carrying out the natural resources programs, projects, policies and regulations authorized by the Board. The candidate must have a B.S. in Public Administration, Agriculture, Agricultural Economics, Natural Resources, Agricultural Engineering, Hydrology or related fields. He or she must have five years of experience in natural resources, water resources or public administration. Duties include coordinating activities and programs with other local, state and Federal agencies, and engaging landowners, communities and organizations to bring about natural resources conservation and protection. The candidate will be the administrative leader in various soil and water conservation programs, groundwater management, flood control projects, and other conservation activities. The candidate must be an effective communicator and have proven skills in leadership, organization, budgeting, project development, relation-building, delegation and supervisory skills, public speaking, and accomplishments. For a full list of duties, please download the General Manager Full Job Description. Marlin Kimle, LBNRD Board Chairman, 1845 S Constitution Ave., Kenesaw, Nebraska 68956 or email mkimle@gmail.com.